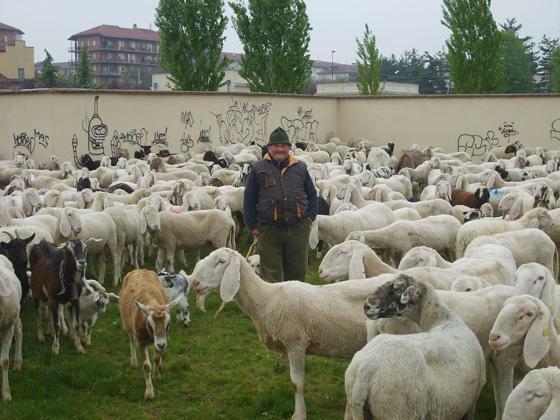 The city of Turin saved 30,000 euros by using sheep to mow lawns at three public parks. In Pasture in the City, cows were also used during the experimental first year, but because they produced too much manure they have not returned. Traffic is diverted for the herd of sheep to enter the city. After the animals are rotated through fenced-off parks for two months, they return to the Alps for the remainder of the summer. The sheep aerate and fertilize their temporary pastures.